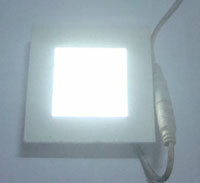 This is a 5 watts LED Panel light that gives 300 Lumen light similar to a 20 Watts ordinary Bulb. Let us open its back cover. First we can see a Reflective Aluminium plate that reflects back the light to the front side. So no loss of light inside and all light focus towards front side. 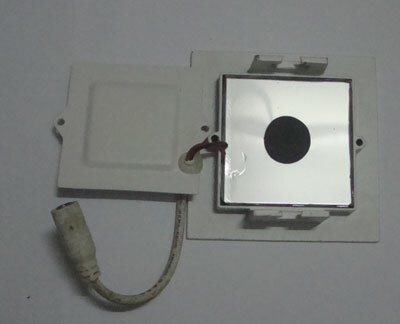 Inside the Reflective Aluminium plate, there is a Glass plate to support the panel. This glass plate do two functions. It supports the Panel as well as passes the light to the Reflective Aluminium plate. Finally, a Semi transparent Glass plate in front that spreads the light uniformly. So the focussing light from the LEDs will diffuse through the Semi transparent plate and spreads. The advantage is that, the light will not cause eye strain because it spreads evenly . 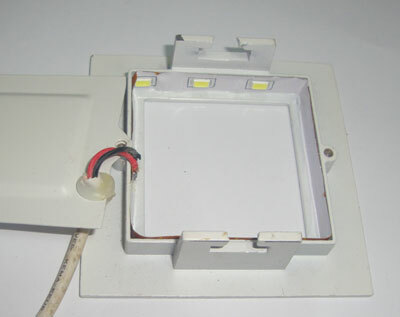 Inside the Panel, there are 6 Chip LEDs (SMD – Surface Mount Device). This is actually a sheet of self adhesive LED Strip we see in market. 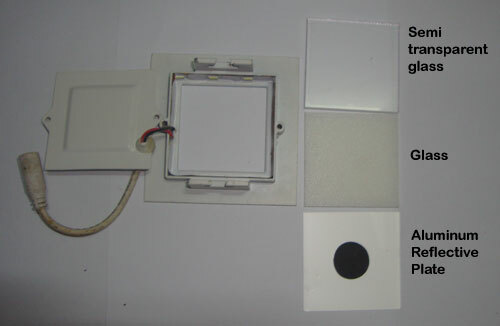 In the 5 watt LED Panel , 6 LEDs ( 3 in one side ) are used. So its power will be between 0.8 Watt to 1 Watt. 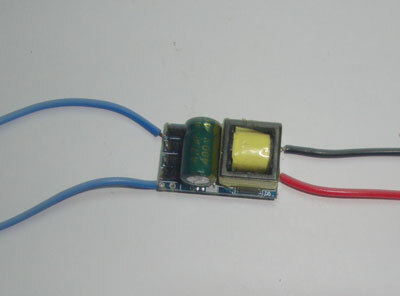 No current limiting resistor is in the LED strip because the LED driver is providing constant current. This much is present inside the Panel. 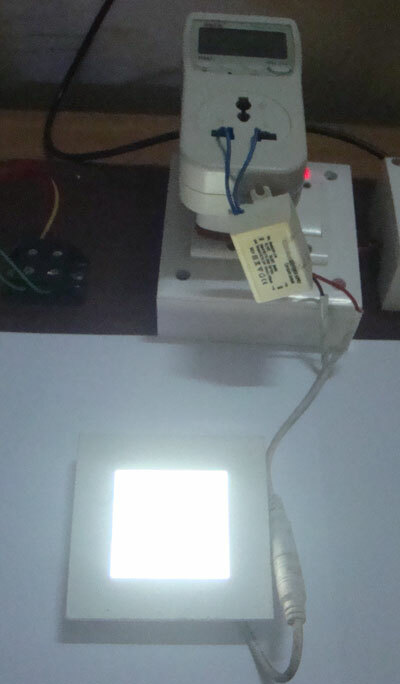 So the LED Driver makes the power of the LED Panel constant as 5W. 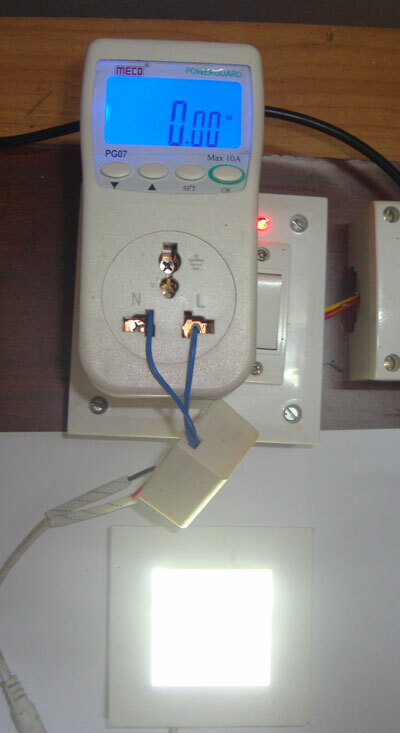 The changes in the input AC voltage will not affect the output and the driver constantly gives 16V DC and 0.32 Amps current to 6 LEDs. Since the driver is giving a constant current 0f 0.32 Amps required for the LEDs, no current limiting resistor is used along with the LEDs. 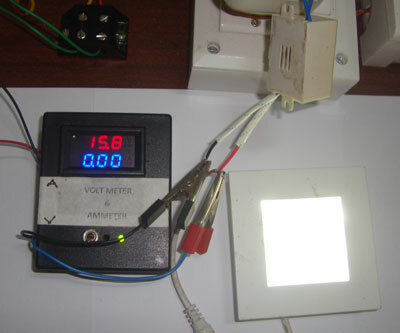 The LEDs are serially connected so the forward voltage of each LED will be 2.6 V (16 / 6 = 2.6). 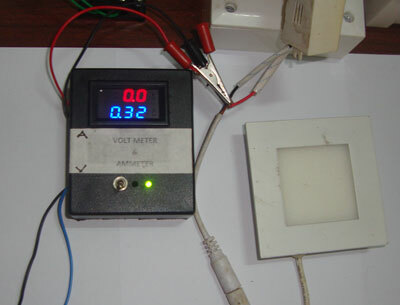 It vary between 2V and 3V since the LEDs operate in a range of voltage. So the 6 serially connected LEDs sharing 16V DC and 320 mA current. 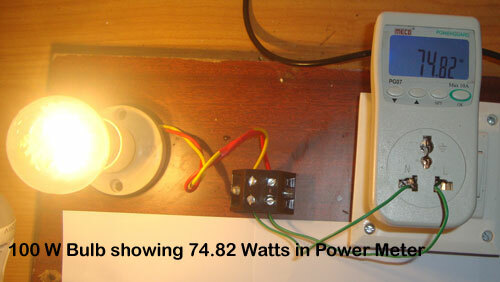 That means, each LED is using 2.6V and 53.33 mA current. When I connected the LED Panel light in the Power Meter, the Meter showed nothing. No watts and no current with the load appeared in the Power meter. The LED Panel is lighting as usual. Why the Power Meter is silent? Because there is no direct connection between the AC part and DC part of driver. Total isolation of AC and DC in the Driver. So the Power Meter is ignoring the load. 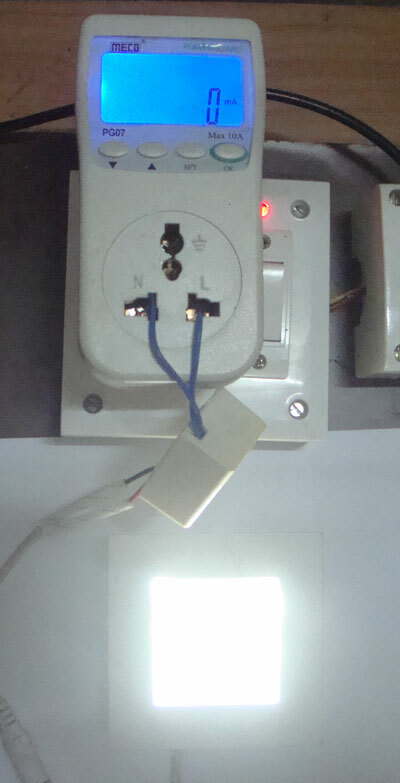 This will not happen when we connect an LED Bulb using Capacitor power supply or an ordinary bulb. See the images below.